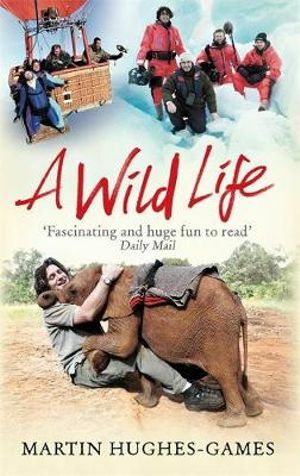 From the charismatic presenter of the BBC's primetime nature series, a thrilling and often hilarious memoir recounting the trials and tribulations of filming the natural world. The frozen wastes of the Southern Ocean; the tropical rainforests of South America, the scorching grasslands of Africa, the dizzy heights of the snow-capped peaks of the Himalayas: Martin Hughes-Games has been to every continent on earth filming natural history programmes. 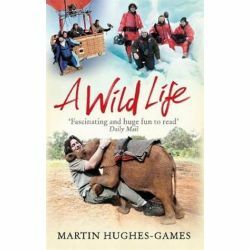 A WILD LIFE is Martin's personal account of his astonishing adventures around the world, both as a presenter for the BBC and a producer of nature documentaries. We all know Martin as a member of Springwatch and Autumnwatch team, but before his presenting days he spent many years behind the camera producing up-close-and-personal wildlife documentaries on location often in perilous conditions. During a career spanning more than three decades, he has captured the extraordinary life and diversity of the animal kingdom on film - from bloodthirsty bats and man-eating tigers, to huge elephant seals and tiny but ever so painful centipedes. Warmly told with humour and an inimitable style, and packed with insightful facts from the natural world - how fast is the fastest creature on earth, the peregrine falcon? How high can a bird, the bar headed goose on migration, really fly? - A WILD LIFE has to be one of the natural history books of the year. MARTIN HUGHES-GAMES co-presents the BBC's Springwatch and Autumnwatch programmes, having worked in television for over 30 years. He trained as a zoologist before joining the BBC science department as a producer. He is also an obsessive motorcyclist, passionate climber and chicken fancier.